Parabolic mirrors have the ability to focus collimated light without introducing spherical aberration. An Off-Axis Parabolic (OAP) mirror is simply a side section of a parent parabolic mirror. Collimated light that is incident to an OAP mirror is focused to a point. However, unlike a centered parabolic mirror, an OAP mirror has an advantage in that it allows more interactive space around the focal point without disrupting the beam as shown in Figure 1. Depending on which section of a parabolic shape an OAP mirror is replicating, the angle between the focal point and the central ray axis can be large or small. Figure 2 represents this phenomena by modeling a 15° and 45° off axis mirror respectively. Note: It is important to keep the incident beam parallel to the optical axis, any angular displacement will produce comatic aberration. Edmund Optics offers off-axis parabolic mirrors with Protected Gold, Bare Gold, Protected Aluminum, UV Enhanced Aluminum, and Protected Silver coatings (Figure 3). The following selection guide provides helpful information detailing the strengths and limitations of each OAP type. TECHSPEC® 50Å Off-Axis Parabolic Mirrors are designed to direct and focus incident collimated light at a specific angle with minimal scatter loss. By using a specialized manufacturing process, the aluminum substrate low scatter OAP mirrors decrease scatter in the visible spectrum. Each mirror has been visually inspected with a HeNe laser to ensure low scatter. 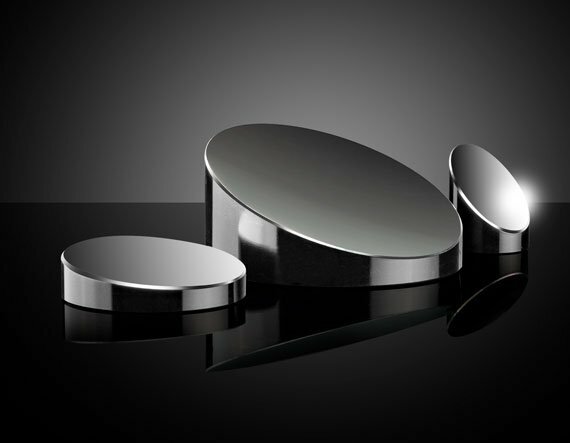 Metal mirrors are available in 15°, 30°, 45°, 60°, or 90° Off-Axis options. Each of these options comes with a coating choice of Protected Aluminum, Protected Gold, or Bare Gold. These coatings allow great reflectivity across a range of spectral regions. Edmund Optics also offers different diameter selections for each coating and angle. Typically, these mirrors are used as collimators in Schlieren and MTF systems, but gold coated off-axis parabolic mirrors can also be used in FLIR test systems. 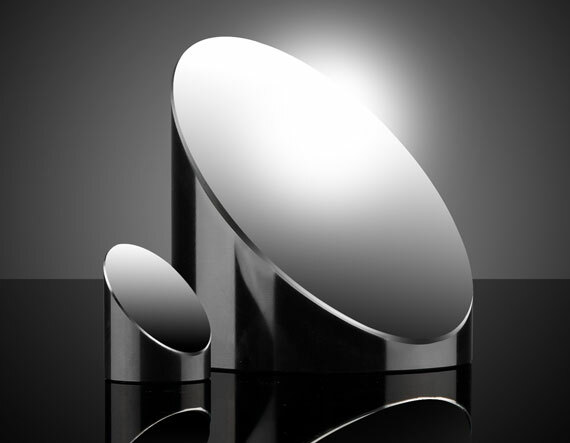 Laser, flat, metal substrate, focusing, or specialty mirrors in a range of reflective coating options, including aluminum, silver, gold, or dielectric. Mirrors are commonly used to fold or compact an optical system. Our product review video explains the benefits and types of mirrors.